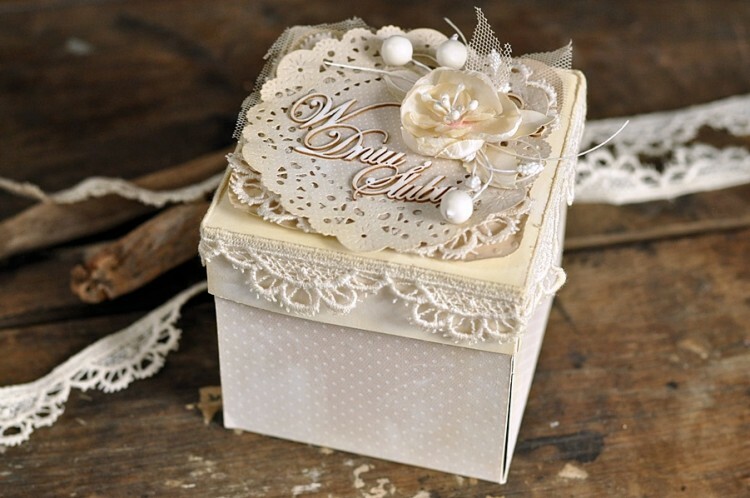 Here is an exploding box for a wedding, made from the Vintage Wedding collection. I am always amazed with exploding boxes…this one is just so pretty and clever! Love the sweet softness to this box, Ewa!